Below are testimonials from people who have purchased the HTML 4.01 Basics Simplified HTML tutorial ebook. My first contact with S. R. Emerson was in the Website Development Training Class group of the SEO Training Class. While I understood the basic html codes, I found that there was lots more to learn about coding. Her Basic HTML 4.01 Tutorials have been easy to understand and implement. 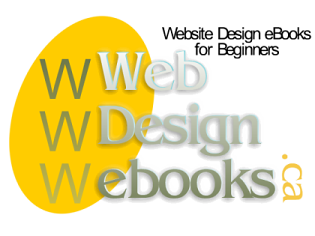 They are written in terms that someone with little or no knowledge of html can understand them but are not so simple as to be to easy of boring for an advanced user. When I started the classes, none of the four sites I maintain would validate. Now they all do. Not only does she include the html lessons, but lessons on a basic understanding of the Internet itself. I find myself going back to past lessons when I encounter a problem or need to do something new that I don't quite understand. While most of my learning has been through her Website Development Training class, I've explored her HTML Basic Tutor WebSite which is also extremely helpful. I recently obtained a copy of her e-book HTML 4.01 Basics Simplified and it is extremely well written with examples and screen shots. Explanation of the individual tags are included with examples. I would not hesitate to recommend this book or her classes to anyone.